Amanda Cheek is a Licensed Marriage and Family Therapist with experience working with individuals, couples, and families. She received her Bachelor in Art Therapy and a Master’s Degree in Marriage and Family Therapy, both from Converse College. She believes that personal growth occurs through encouragement and unconditional positive regard, and that we can become stuck in negative experiences which inhibit us from living our full potential. She is trained in EMDR, for both adults and children. She has experience working with first responders, sexual trauma survivors, and survivors of childhood abuse. She is passionate about LGBTQIA+ advocacy and education. She also utilizes treatment modalities such as Cognitive Behavioral Therapy, Solution-focused Therapy, and Narrative Therapy. She has training with the National Adoption Competency Mental Health Training Initiative to support families through the adoption process and after adoptions are finalized. She espouses a person centered approach with emphasis on creating an environment and relationship that facilitates personal growth. Are you looking to live your best, most authentic life? Are you seeking a version of you that understands your values and strives to live them out daily? Are you looking for a safe space to explore what you value, work through past experiences, or develop coping skills to become that person you strive to be? Many of us are living in the day to day of stressful lives and seeking some peace and clarity. I work with individuals and families to help define what your personal “best life” looks like and develop a plan to get there. I hold space for those working through life transitions and can help with stress, anxiety, depression, interpersonal relationships, grief, and more. I have experience across all life stages with children as young as three through older adults. I have over fifteen years of experience in mental health, health and wellness, and leadership including case management, individual and group therapy, community based mental health, school-based mental health, macro social work and management of large community systems, and leadership. I have a bachelor’s degree from East Texas Baptist University with a dual major in Religion and Behavioral Sciences as well as a Masters of Science in Social Work from The University of Texas at Arlington. I am a Licensed Independent Clinical Social Worker (LISW-CP). When people ask me why I do this work, my answer is simply because I love it! Seeing people change from confusion, hopelessness, and pain to hope, optimism, and a life they fall in love with is what motivates me to go above and beyond for my clients. Helping individuals and couples is, by far, my calling and it has me to work with some of the most specialized men and women in our country’s military. Working with Special Operations military personnel and their spouses has enabled me to become an expert in military counseling and coaching, to obtain quick, but lasting results for this fast paced and often long-distance population. I graduated from the University of Georgia with a MSW in 2007. Since then, I have dedicated my time and energy to helping countless individuals and couples empower and transform their lives. Transforming your life is absolutely worth the investment! True power and healing is in the present moment, not in the past or future. This is the day to reach out and start the path to healing and life transforming change! Todd believes that anyone can benefit from mental health supports. He provides and open and welcoming space for clients to overcome past hurts, improve relationships, and set new goals. 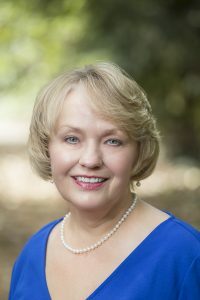 Jennifer Bennett, LISW-CP has been licensed in the state of South Carolina as an independent social worker in clinical practice since 2000. She has nearly 20 years’ experience in outpatient and inpatient mental health care. In a comfortable and supportive atmosphere, Jennifer provides a highly personalized approach to support clients with achieving their personal potential. 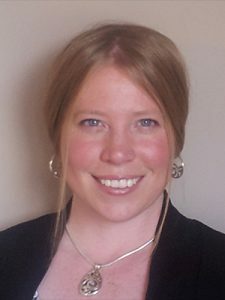 In addition to traditional psychotherapies, Jennifer is trained in the Acceptance and Commitment Therapy (ACT) model, an evidenced-based cognitive behavioral modality that supports the learning of new skills to handle difficult thoughts and feelings more effectively so they have less impact and influence. ACT is a very active form of therapy, not just talking about problems, but taking action in line with your personal values to make life better. She has advanced training in the areas of anxiety, depression, trauma, and the treatment of adolescent concerns. 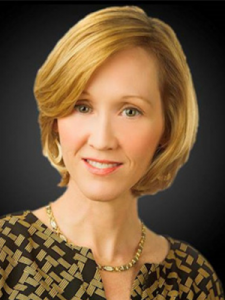 Gina Decker has over 25 years of experience helping clients from age 3 to the elderly population. she has worked in psychiatric care with all ages providing inpatient, partial, crisis intervention, and assessment. Her experience includes private practice, school-based therapy, and case management. Gina has extensive training in cognitive behavioral therapy, motivational interviewing, DBT, play therapy sand grief and loss. 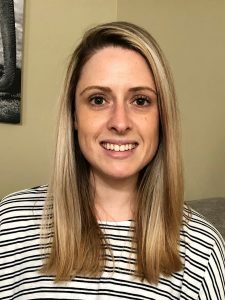 She has a passion for helping people with their problems and works with her clients to help them identify obstacles they face and build skills to overcome them - to help them thrive!. 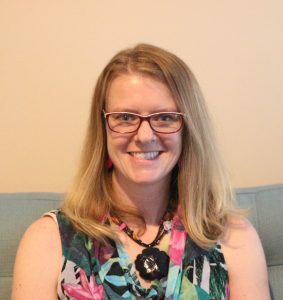 Gina Decker is a Licensed Clinical Social Worker with an undergraduate degree from the University of Montana, Missoula, MT, and a graduate degree in Social Work from Walla Walla University, Missoula, MT. Gina has been a Licensed Clinical Social Worker since 2003. If you are struggling with depression, anxiety, family / parenting, couple issues, grief and loss, medical issues or changes in your life and would appreciate some help, please call to schedule an appointment today. Emilee Scruggs LISW-CP is a Licensed Independent Social Worker of Clinical Practice. 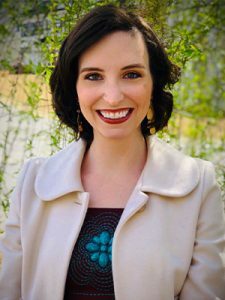 She has a Master's in Social Work from Winthrop University and went on to receive LISW-CP in 2014 with the ultimate goal of working in the therapy field. Emilee has 10 + years experience working with individuals and families of all ages ranging young adults to older adults in areas including hospice, long-term care, mental health, and counseling. She is passionate about helping individuals to overcome fear, anxiety, trauma, and depression by incorporating mindfulness, progressive relaxation, EMDR, aromatherapy, and cognitive-behavioral therapies. Emilee takes a holistic approach, meaning involving the mind, and body. She works with individuals, family members, and caregivers struggling with chronic, acute, and terminal illnesses. She can work from either a secular or a faith-based perspective. Have you ever felt like your life is out of control? Do you have difficulty making decisions . . . maybe it feels like others are making decisions for you? Are you having difficulty getting over a past hurt, trauma, or relationship? Do you feel like you've lost your focus and need help finding, or reclaiming, your passion for life? If you can relate to any of these things, you're not alone. Many people feel this way. I work with both individuals and couples to overcome past hurts, improve relationships, and set new goals. I can help with anxiety, depression, relationship issues, grief and loss, and much more. I offer marriage and pre-marriage counseling, as well. I provide support to help you make the changes that you’d like to experience in your life and relationships. I received a Master of Social Work degree from the University of South Carolina.I have a variety of clinical experiences, including outpatient and inpatient therapy. I have earned the Academy of Certified Social Workers credential from the NASW. Jessica McCraw is a South Carolina native. She is a seasoned therapist, with extensive experience helping individuals, couples, and families. 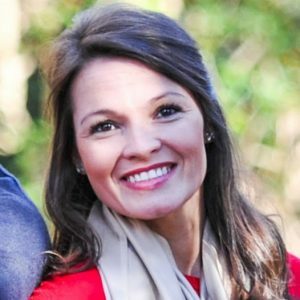 Jessica earned a Bachelor of Arts in Psychology at Coastal Carolina University and Master of Arts in Counseling with an Emphasis on Marriage, Family, and Child Therapy at Webster University. "I strongly believe in the therapy process and one's ability to overcome the obstacles life brings that are often unexpected. I have a passion for helping people and have been blessed to be able to implement it into my career as a Marriage and Family Therapist. I approach therapy by meeting clients where they are, helping them identify where they want to be, and working together to set and attain their goals. Together, we will build on your strengths and learn skills to improve relationships, find balance, manage stress, improve quality of life, and (most importantly) find joy and peace. I welcome and look forward to working with all new clients, fostering positive change." Jessica's clinical experience includes private practice, community outreach, and community health. She has worked with diverse populations, providing individual, couples, marriage, and family therapy. She partners with clients who have severe mental illness, helping them learn how to cope and manage mood disorders, anxiety, stress, marital and relational problems, grief and loss, and self-esteem issues. Jessica utilizes cognitive behavioral therapy, mindfulness, and emotionally focused therapy. 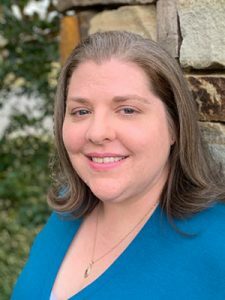 LaKimberly Dowdell, a Greenville Native, is a Licensed Professional Counselor (LPC) who has returned back to the area after living and working overseas supporting the mental health needs of our military. With this population, there has been a considerable amount of work done in the areas of Stress and Anger Management, Couples Counseling, Crisis Management and Life & Transition Management. She is also a Nationally Certified Counselor (NCC), Certified Critical Incident Stress Manager and a Certified Level II Motivational Interviewing and Level III CBT Therapist. In addition, LaKimberly is also a Certified Parent Project facilitator- a position that brings with it a significant amount of experience working with youth with challenging behaviors, as well as their parents. 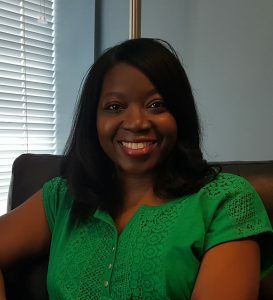 She also brings more than 15 years of experience in counseling children, adolescents and adults of various ethnic, cultural, disability and socio-economic backgrounds. Her personal motto? "In all things, work to achieve balance". No matter your professional or personal perspective, your greatest challenge in life is often yourself. We often overlook realistic solutions to overcoming past hurts, improving relationships, or achieving personal growth. We get caught up in the “what-ifs” of the present and fail to make the meaningful change we need for wellness and success. You want to be the best “you,” right? It may be the perfect time to partner with someone who actively listens and develops a relationship built on trust and care – one where you can investigate your beliefs, attitudes, and behaviors. We all need to work on overcoming roadblocks in life, but unfortunately, we’re often afraid or don’t know where to start. I believe that you can improve your life and make meaningful change. I believe that you can achieve new goals. I believe that you can improve your relationships and overcome past hurts. I have nearly a decade of experience providing professional support to adolescents and adults as a counselor, life coach, and athletic trainer. I also possess extensive experience helping athletes improve mental toughness and reach peak performance. I graduated with my Masters in Clinical Counseling from Bellevue University. I use the Cognitive Behavioral Therapy (CBT) Techniques with an emphasis on Solution-Focused Therapy. I am also certified in Trauma-Focused Cognitive Behavioral Therapy and Crisis Counseling. Robyn Durk is a Licensed Independent Clinical Social Worker (LISW-CP). Originally from New York, Robyn relocated to Greenville, SC to continue her career as a mental health therapist. Her experience includes school-based mental health and both inpatient and outpatient therapy. She has a tremendous amount of experience with treating trauma, depression, anxiety, conduct, crisis management, and other psychiatric issues. Robyn is certified in Trauma-Focused Cognitive Behavioral Therapy (TF-CBT) and utilizes Cognitive Behavioral Therapy, Solution-Focused Therapy and Motivational Interviewing techniques. Robyn is very passionate about her career in social work. Her focus is to develop a safe space where clients build a therapeutic relationship to achieve their goals for a happier and healthier lifestyle. Robyn earned a bachelor’s degree in social work from the State University of New York (SUNY) Plattsburgh and a master’s degree in clinical social work from Fordham University. 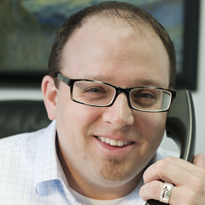 Michael Reffner provides career coaching and relationship assessments at Thriveworks. He has served in leadership roles at Thriveworks for nearly a decade. 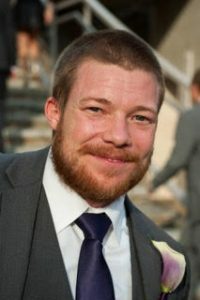 Michael’s professional experience includes management, recruiting, on-boarding, and staff supervision and development. He has been a featured instructor on career topics, including resume development, writing cover letters, interviewing strategies, and career development. Michael utilizes the PAIR (Psychological Audit of Interpersonal Relationships) Test to help clients gain better insight into their personality traits. This is useful with career coaching, but also with relationship coaching. Couples who wish to gain a stronger understanding of their relationship dynamic will find the PAIR Test to be both revealing and affirming. The PAIR Test targets 19 key personality traits to create a profile that reveals attitudes and beliefs that are complimentary or opposite and identifies areas that may benefit from specialized clinical support. Whether you’re preparing for your first job, stuck in a career that’s going nowhere, or just looking for a change – you’ll find career coaching to be a challenging, but exciting experience. And, if you’re at the start of a new relationship or you want to go deeper in your current one, today may be the right time to give relationship coaching a try. 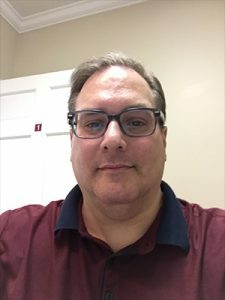 Michael has over 20 years of mental health, education, and administrative experience, including direct care, residential group home, community mental health, school-based mental health, online faculty, operations, and executive leadership. 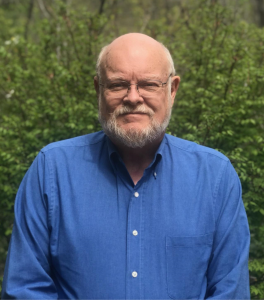 He has earned a bachelor’s degree in communication studies, a master’s degree in religion, additional graduate studies in community counseling, and a post-graduate degree in education, with concentration in leadership studies.